Why hasn't the mystery of Gulf War Syndrome been solved? The use of British aid money in India, with its rapidly growing economy and ambitious space programme, has critics in both countries. But in the state of Bihar, a carefully targeted aid project is successfully reducing corruption, and improving the lives of some of the poorest people in the world. When they set up recently as advisers in Bihar state offices, British aid officials faced a rather immediate problem. One of their targets was increasing the number of toilets and safe washing facilities out in the countryside - but they had not expected to need to provide them for their own staff first. The government system had been so hollowed out during the previous corrupt administration that the most basic of facilities had gone. Now signs of change are everywhere. A courtyard has become a graveyard of manual typewriters, lying rusting and broken among discarded wooden cupboards, desks and filing cabinets. Every piece of furniture and old Remington typewriter has a number painted in white on it, denoting it as state property, some dating back from the 1930s. In one ministry, there were so few people actually working that the British advisers hired street sweepers to do basic administrative jobs. They needed to start from scratch as if coming to a land recovering from catastrophe - although Bihar had not faced a natural disaster or conflict, but corruption. Its previous administration was infamous for theft - stealing votes, and misdirecting government subsidies. Bihar's problems were similar to those faced by many frail, post-conflict countries - lacking even the systems to spend money allocated to it from central government. It is this capacity that Britain hopes to improve so that Bihar can access money from Delhi that otherwise is going to waste. On a busy corner in Patna, I watched as people queued up to apply for certificates of income, caste and land title. British aid money was behind this project too, helping citizens to access state services without having to pay middlemen as they did in the past. This British scheme is even funding an Indian call centre. There was brisk business when I went to listen, as people phoned in to ask for the name of the individual official concerned with their case. Failure to act within a certain period of time has led to civil servants being fined. Others have gone to jail for trying to continue the corrupt ways of the past. This is a long way from the traditional image of aid as a handout, or payment for health, education or housing. And the case that Britain retains its large aid budget to build the capacity of the Indian state may be a hard one to make to someone in the British public sector who has lost their job in the cuts caused by austerity at home. But no-one could doubt the scale of the need. If Bihar were a country, its per capita income would be the third lowest in the world. Only two countries in Africa would be below it. In a slum of some 50 or so houses, wedged between a main road and a railway, backing onto a green fetid swamp full of mosquito larvae, Parbhatti Devi told me that she had lived here all her life. She had lost all her fingers and toes to leprosy - and what she had, she earned from begging. Wires snaked through the makeshift roof of her hut, with improvised attachments to overhead cables, lethal in the monsoon rain. She had no safe drinking water nor access to a toilet. Some Indian politicians and diplomats do not like Britain's large aid programme because this is not the image of a land with global middle class aspirations they want to project. They live as if in another country from the lepers by the railway tracks. Bihar has shaken off its past and is now the least corrupt state in India and from a low base its economy is growing at more than 14%. Given that, should it not now take care of itself? The answer from the most senior civil servant in the state was simple. He told me that development would have come, but far more slowly without the British technical expertise that has changed the way they do things. He said that millions would be lifted out of poverty far sooner because of the British help. We met in his office in the Secretariat building that was the seat of British colonial power here until 1947. On his wall hung a painting of the huge conical brick structure that still stands at the west of the city, built by the British to store rice after a devastating famine in the 1770s. In another century, Britain has a relationship of quite a different kind here. BBC Radio 4: A 30-minute programme on Saturdays, 11:30 GMT. Second 30-minute programme on Thursdays, 11:00 GMT (some weeks only). 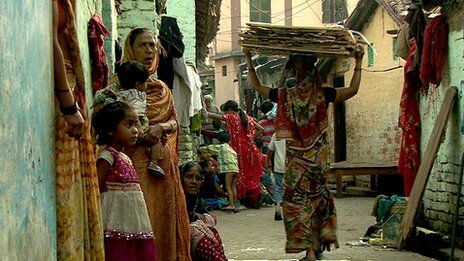 Is India too wealthy for British aid? My spouse has lost two IT jobs to India, where the work was not performed well. I have closed my HSBC bank accounts because I could no longer stand dealing with the patronising but useless call centre. Who are we borrowing the money from to give it to India? I hope I'm not paying for it - India is quite wealthy enough to solve its own problems and we need to solve our own. India and other South Asian countries have been squandering precious resources on arms and wars while failing to invest in education, health and infrastructure. In India, more than 25% of the food is wasted because of shoddy infrastructure. The problem in South Asia is that the politicians are not only the most corrupt in the World but also BIG talkers with no substance. China has shown that poverty can be reduced substantially. According to the World Bank, China had the highest poverty level in the world with 77% of the population living on less than $1.25 a day in 1980. In 2008, it has dropped to 14%. Of the 1.3 billion people living on less than $1.25 a day in 2008, 1.1 billion of them were outside China – more than half of them are in fact in South Asia. I live in India, where the governments are notoriously and easily the most corrupt in the world (BAR NONE!). Starving Biharis don't need financial aid; there's enough resource in India. The problem is distribution. What Britain can and MUST do is encourage independent reviews of these systems of distribution so that Indians don't have to needlessly shame themselves with a begging bowl in hand. Most of the aid given to India does not reach the needy, as most of the money is pocketed by the greedy! 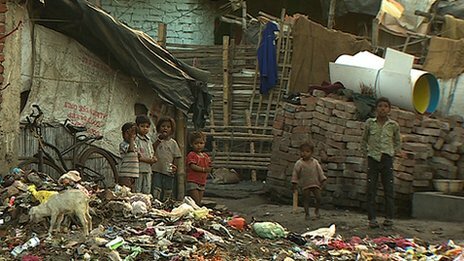 The main reason India has such a high-level of poverty is corruption. Until corruption is tackled, aid will not reduce poverty. While receiving aid from UK and others, India also gives aid to other countries! India needs to sort out its priorities. Charity begins at home!